enjoy the ski terrain by day, but rest those weary bones in salt lake city at night. Photos courtesy Visit Salt Lake. 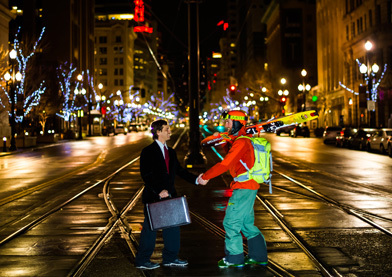 enjoy the ski terrain by day, but rest those weary bones in salt lake city at night. Photos courtesy Visit Salt Lake. Some people look forward to the transition from balmy summer afternoons to chilly autumn evenings to bright, frosty winter mornings. They are called skiers, and like snow boarders, ice skaters and sled riders, the best days of the year are back. 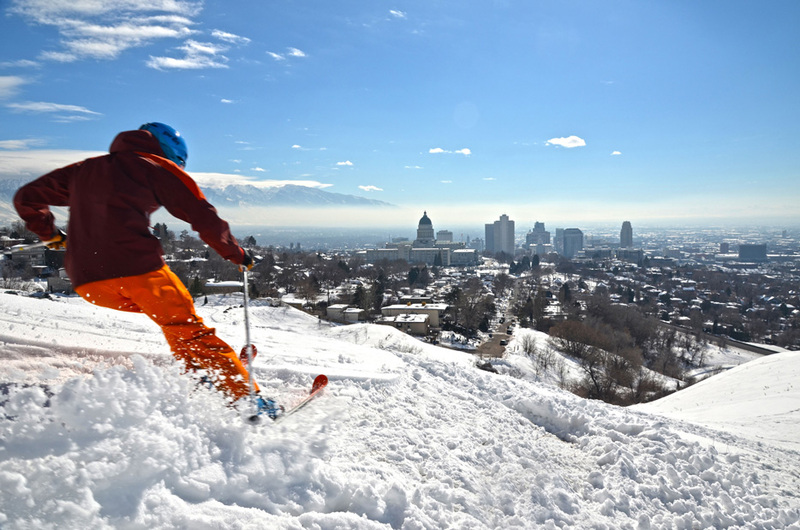 Even better, one of the best places in the world for snow sports is in the easily accessible Salt Lake City, Utah. As host of the 2002 Winter Olympics, the city went all out to create a state-of-the-art destination for serious athletes as well as recreationalists. The result is the happy winter playground that envelops the city as well as the region surrounding it. With mountains a mere 30 minutes away, Salt Lake City entices visitors to play hard on the slopes but come back at night for fine dining, nightlife and luxurious, affordable accommodations. It isn’t unusual to see people toting skis all around town. Access: Arrive by Salt Lake City International Airport. Public transportation includes bus, light rail, commuter rail, taxi cabs. 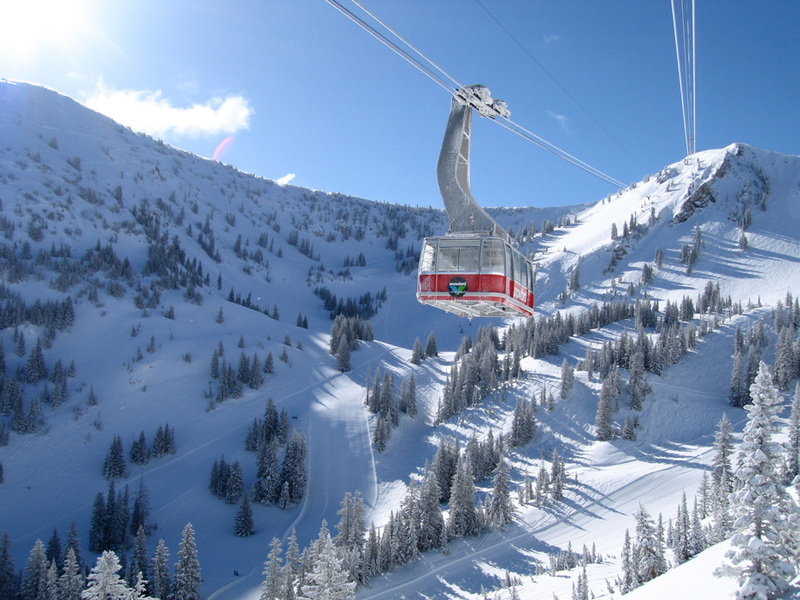 Utah Transit Authority operates a network (including a ski-bus service) between the city and resorts at Snowbird, Brighton, Alta and Solitude. Climate: Average temperature for the city in December and January is about 30 degrees (differs at higher elevations). Main Attractions: Great Salt Lake, Temple Square, Olympic Cauldron Park, mountains. 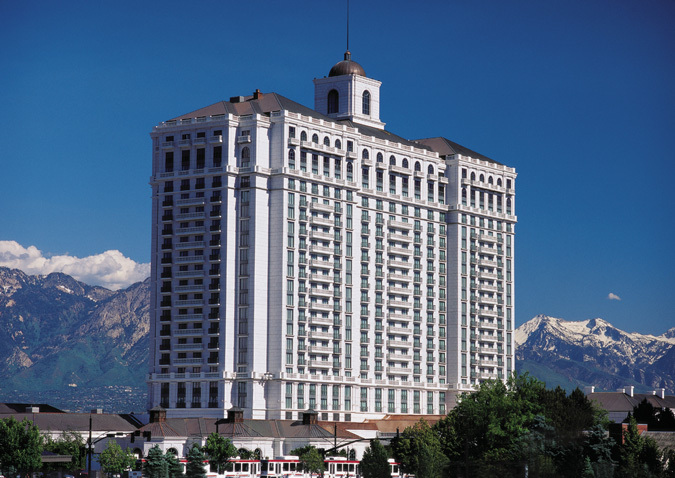 The Grand American Hotel is primed to offer the best of Salt Lake City. Photo courtesy Grand American Hotel. Local Brews: It’s been said many times: Salt Lake City is rarely the first town to come to mind when considering breweries and pubs. Yet, the city has relaxed its restrictive laws regarding alcohol sales and cut out the mandatory “membership fees” required for service at local bars. Local brewery Red Rock Brewing Company (www.redrockbrewing.com) started in 1994 and continues to create award-winning craft beers, served at three brewpub locations. It’s not alone – Squatters Craft Beers pours a dozen of its specialty concoctions at its three Salt Lake City-area brewpub locations (www.squatters.com), while Epic Brewery, the newest hop-master in town, offers samples of its prized beers in its Tap-Less Tap Room with food orders (www.epicbrewing.com). Best of Burgers: When you’ve just finished a downhill run at more than 30 miles per hour, the last thing you want is a salad. Porcupine Pub & Grille’s Big Cottonwood Burger is a whole 1/3-pound beef patty loaded with bacon-sauteed mushrooms, herbed aioli and barbecue sauce, cheddar, swiss and fresh sliced veggies on a sourdough bun. Served with steak fries and a glass of froth-topped brew made locally, it’s just plain awesome (www.porcupinepub.com). Lucky 13, however, has an undisputed heavyweight with its Big Benny, a sloppy-good gourmet behemoth stacked with house-smoke bacon, caramelized onion, cheeses and Lucky 13 sauce on 28 ounces of beef. Benny is a fresh-ground dream measuring one foot in height (www.lucky13slc.com).